Long ago, very few people could afford to go away on holiday. Then, in Victorian times, it became fashionable to visit the seaside. Today many people like to go on holidays abroad, whether they stay in hotels or at a holiday camp! 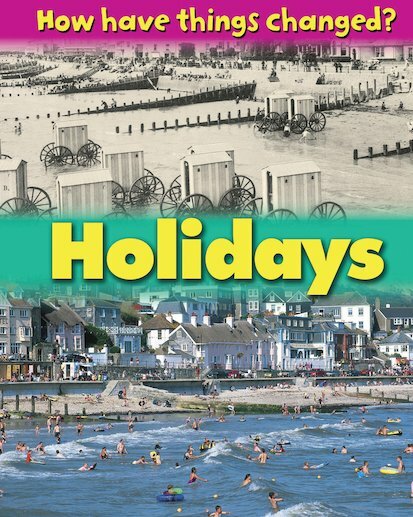 This exciting look at a favourite topic encourages children to compare holidays during different periods, examining how society has changed over time. Some things have stayed much the same – donkey rides, ice creams and Punch and Judy shows. Other things have changed a great deal, like the length of swimming costumes and the destinations people visit. Full of photos and glimpses into the past, this fascinating book examines how holidays have changed to reflect growing incomes, expectations, technology and much more.